Full-time writers and those burning the midnight oil typing away at novels-to-be after long days at the office have a common enemy: distractions. They’re everywhere, and that’s no horror film hyperbole. Whether you rely on your writing income to feed the kids or you have a story worth telling even if it means “working” after work, writing while distracted is an enormous waste of time. The right words don’t come to you, the sentences aren’t formed right, and they don’t flow one after another. I’ve sat across from my laptop for three hours and literally written one sentence (and then erased it an hour later). We all work differently. Some of us can write on the train ride to work; others need absolute silence and solitude to function. Regardless of where you stand, keep these points in mind. Some writers assert they don’t need one. If you’re a freelance writer and say you don’t need one, however, you also fool yourself. With a schedule, you can keep assignments in check as well as set aside a visual reminder for various tasks. Perhaps most importantly, with a schedule, you can dictate when you’re working and when you’re not. Remember, there’s no gray area. If you’re writing, focus on writing and on nothing else. Sticking to said schedule can be tough, but remember that it’s your own writing that suffers if you stray from the promises you make to yourself. Take a look at your workspace. Mine has a candle warmer, a framed photograph of my significant other, a few Italian and Japanese books, an old sweater I should probably throw in the washer, insurance papers, a broken necklace I need to fix, broken sunglasses missing a screw, and the AVID Friend Chip pet microchip brochure I need to fill out for my recently rescued mutt. These are all reminders of non-writing related things I need to do, things that could (and most days do) distract me from writing during designated writing hours. Clear your desk. Find a bookcase for books, folders for documents, and a to-do box for to-dos—and put them under your desk or otherwise away from your workspace. It’s unfair to ask yourself to keep all these things in mind while writing, too. This can be difficult for people like me. I’m both a freelance writer as well as an aspiring fiction writer. When doing the former, I use the same desk with the same calendar, same candle, same cup of coffee, same books as I do when I’m writing fiction. Distinguishing when I write for pleasure and when I feel like I can squeeze in one more assignment for a bit more pay can be difficult. Distinguishing when I write at all and when I want to see what my friends are up to on Facebook or what’s going on in the world of television and movies can be even more difficult. The Internet is probably the freelance writer’s strongest friend and most treacherous enemy, especially if you work from the same computer. I recently learned this lesson the hard way; because I Facebooked intermittently during work hours, my family and friends assumed I had an easy job from which I could take time off to socialize or help them with household chores. Soon, my mother-in-law was calling me to help her let the dogs out of their rooms or to water the plants while she was gone, and my friends overseas complained when I wouldn’t Skype with them in the middle of the day. If you find yourself Facebooking or web-browsing often during designated writing hours, try using a different browser just for writing. Don’t include any social networks or leisure-related sites to your favorites list. Use another browser for leisure sites and keep this one off your desktop. Stick with your schedule and write a certain number of hours a day, using those hours only to write. After hours, do with your time what you like, be it Facebook or YouTube, guilt-free. Motivation is hard to come by, anyway—why fight for it? Instead, give yourself the opportunity to write when you need to write, work when you need to work, and play when you need to play. 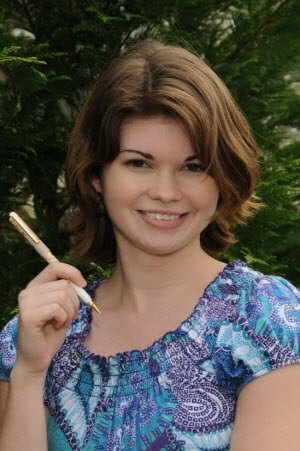 Bio: Maria Rainier is a freelance writer and blog junkie. She is currently a resident blogger at First in Education performing research surrounding online universities and their various program offerings. In her spare time, she enjoys square-foot gardening, swimming, and avoiding her laptop.